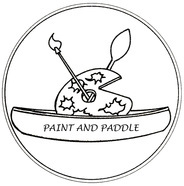 Paint and Paddle is an assemblage of both amateur and professional artists along with professional outdoor guides who are passionate about art in its many forms and paddling in the outdoors. Through visiting unique spaces in the outdoor world it is the intention of our art adventure tours to inspire and awaken your inner artist. The featured artists are locals from the select trip areas and have extensive experience in their mediums. The guides who lead these tours also have in depth experience of both the areas we visit and the adventure sport activities we participate in. ​Chad Casey has been paddling for over 20 years and is an avid outdoors enthusiast and professional guide. He is a certified O.R.C.K.A. Canoe Tripping Instructor and has traveled many southern and northern rivers in Ontario and also in the British Columbia area. ​His educational background has both interests in the adventure studies and the natural sciences fields. He holds a Bachelor of Science degree in Geography and Anthropology from Trent University, a Adventure Management diploma and Bachelor of Tourism Management degree with a concentration in Adventure Studies from Thompson Rivers University. He is also an amateur artist dabbling in drawing, carving and eccentric thinking. 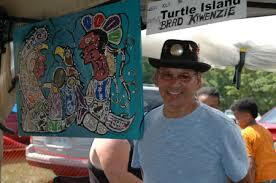 Brad Kiwenzie is a member of the Chippewa’s of Nawash Unceded First Nation and a resident of Neyaashiinigmiing “Point of land surrounded on three sides by water”. Brad has held many roles in the community from being both a traditional practitioner, advocate and spiritual leader for his people, as well, an acclaimed First Nation artist embodying the spirit and traditions of First Nation culture. Through his use of artistic mediums he illustrates through image, sculpture and word the legends, beliefs and spiritual meanings held and practiced amongst his people from both the past and present generations. ​Brad is also a traditional dancer and has participated in various competitions and Pow Wow’s across Canada and the United States and continues to be active in the competitive circle travelling to the many regional events. ​Today he continues to expand his art, cultural beliefs and expressionists creations through painting, carving, sculpting and manufacturing traditional weaponry of both prehistoric and cotemporary times. Rayne Tunley, honours graduate from the Ontario College of Art & Design, studied at the Banff School of Fine Art, Three Schools, and is an elected member of the Ontario Society of Artists, Society of Canadian Artists and the Canadian Society of Painters in Water Colour. Currently Rayne is the President of the CSPWC. An established teacher of fine arts for more than thirty years, Rayne was a Professor in the Visual Arts and the Classical Animation Program at Sheridan College in Oakville. During her involvement in background animation, Rayne put her paintings into movement in a short-animated film entitled “Twisted Tots”, for Bravo!FACT. Rayne’s painting workshops have included Sheridan College, Sir Sanford Fleming College, the Okanagan Summer School of the Arts, the Rainbow Art Workshops, Madawaska Fall Workshops and Max the Mutt Animation School. Rayne continues to teach independent sessions. Exhibitions: Art Gallery of Burlington, John A. Libby Art Gallery, Aird Gallery, Museo Nacianal de la Acuarela, (Mexico), Santa Fe Gallery, Roberts Gallery, O’Keefe Centre, Durham Art Gallery, The Visual Arts Gallery and Tom Thompson Memorial Art Gallery, among others. ​​Suzanne Dyke BA., B. of Ed., D.O.H. Suzanne Dyke, is a former high school art teacher. Suzanne has lived full time on the Bruce since 1984. She majored in visual arts at the University of Guelph and Western Ontario. Her passion for art has lead her through 40 years of experimenting, and creating art works: primarily in the media of watercolours, acrylics, and encaustic She is still involved in education, and offers private watercolour lessons, “en plein aire” if possible, to interested individuals, or acrylic at your location.